The Legend That is Dave Mustaine - Welcome To All That Shreds Magazine! He is one of the most influential metal guitarists, lead singer, and composer, who holds the privilege to be one of the thrash metal pioneers. He is better known for being the founder and leader of Megadeth, the band that made it all faster and aggressive as it could get by that time. Of course, we’re talking about Dave Mustaine, the mind behind the complex riffs, dark lyrics and concepts that made Megadeth one of The Big Four of Thrash Metal along with Metallica, Anthrax, and Slayer. Playing the guitar since he was a teenager, Dave’s attendance to a Kiss concert during their Destroyer tour in Anaheim in 1977 was a mind-blowing experience to him, being highly influential in his decision to take music more seriously. He started his band, named Panic, which was a short-lived act due to the tragic decease of drummer Mike Leftwych in a car accident. Dave’s ongoing journey into the music took him to the infamous Metallica auditions for a lead guitar player in 1981, which as he recalls: “I was setting up my stuff, tuning my guitar, and doing some warm-ups and then I asked ‘So, are we gonna do the audition?’ and they replied ‘No, you got the job’, so I think what they’ve heard pretty much impressed them to a point where they didn’t need to do that”. His time as Metallica’s lead guitar player was short-lived. It ended before the Kill ‘Em All recordings. Too much has been said already about this moment. Dave is continuously taken back during the interviews to this point in his life, where he “had no one but you [Lars] and James,” as he states in the Some Monster documentary, so there’s no need to extend on this controversy anymore. What is important here is how this experience became a defining moment in his life, and how it turned to be the necessary incentive he needed to go into his path as a musician and individual: it led to the creation of what would become Megadeth. After his departure from Metallica, he met bass player David Ellefson in Los Angeles and together formed Megadeth. His artistic intentions were to play faster and heavier music than Metallica, a goal in which Megadeth greatly succeeded. 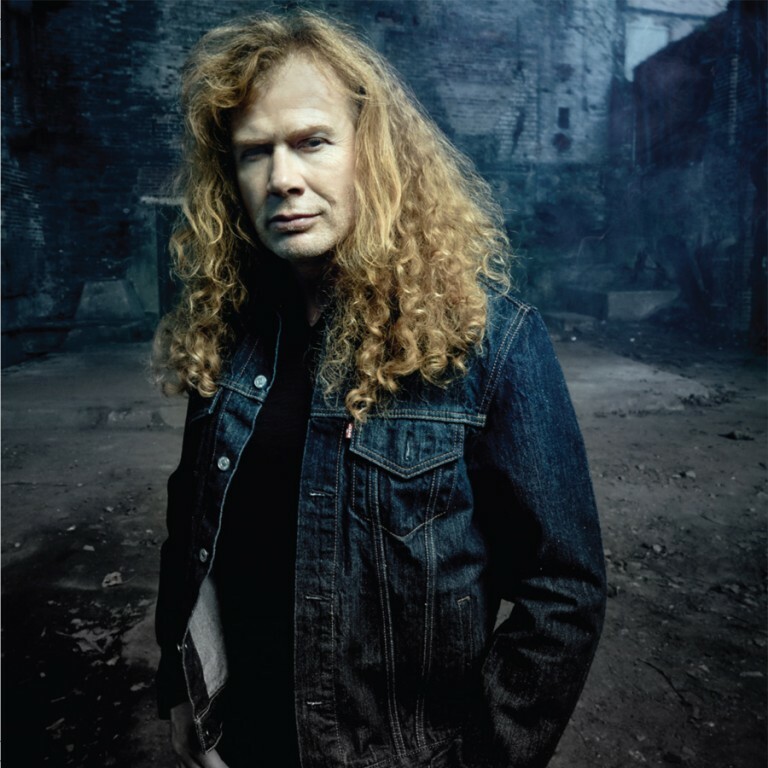 Rather than an “I’m better than you” race, as it is depicted, Dave Mustaine’s contributions to Metallica were a demonstration of what he intended as an artist: his riff near the end of the bridge of Phantom Lord, the Mechanix song (which you know as The Four Horsemen) or Jump in the Fire gives you the idea of what his musical concept was: fast tempos, fast riffs, a dark and decadent atmosphere surrounding his music. In 1985 he released Killing Is My Business with an 8,000 dollars budget from Combat Records to produce and record the album. Dave’s musical approach raised the bar for all guitar players in the metal scene out there. There are many examples of the high-level guitar playing in Megadeth’s debut album, such as Killing is my Business riff, bridge, and solo work. Also remarkable is the aggressive, right-to-the-face lyrics work: Last Rites/Loved to Death, a not so typical story: boy meets girl, boy falls in love with a girl, the girl doesn’t, boy kills girl so no one else will have her. This album is one of the keystones for thrash metal music, and the one who introduced Megadeth to the metal scene! The highly technical riffs and aggressive, full of meaning lyrics will become Dave Mustaine’s signature as an artist, and Megadeth’s definition as a band. The following albums became success after success and grew an enormous worldwide fan base that loves him for remaining loyal to his style during his entire career. Peace Sells, Rust in Peace, Countdown to Extinction, Risk, The System Has Failed, and Endgame are Dave’s mostly recognized efforts and artistic success in his career, including hit after hit in a regular basis, making each one of them a memorable record. Dave Mustaine as a musician has a lot to offer: he sings, he writes, he composes his material, he plays rhythm AND lead guitar! His guitar playing is quite appealing to us guitar freaks: he delivers legendary riffs, famous for his technical demand and use of chromatic scales, giving them a menacing feel: Killing is my Business, Peace Sells, Good Mourning/Black Friday, Liar, Holy Wars, Take No Prisoners…and that’s just a few mentions! His soloing work consists of altered pentatonic patterns combined with exotic scales. Dave is away from the typical scalar-running shred from his generation and aims for the creation of a proper feel to go along with the song’s concept. He often trades his solo works during Megadeth’s live performances, and he seems very proficient at playing the most challenging ones: Burnt Ice, Kick The Chair, Ashes In Your Mouth or Hangar 18 just to quote some examples. Dave Mustaine proves to be one of the most versatile and accomplished metal musicians of our time, and his undeniably great contributions to thrash metal make him a living legend, with an artistic legacy that transcends to this present day in his music!